The SRP-275 is ideal for both POS receipt printing and remote printing for food and drink preparation orders in hospitality applications. Fast dot-matrix printer with speed of 5.1 rows/sec. 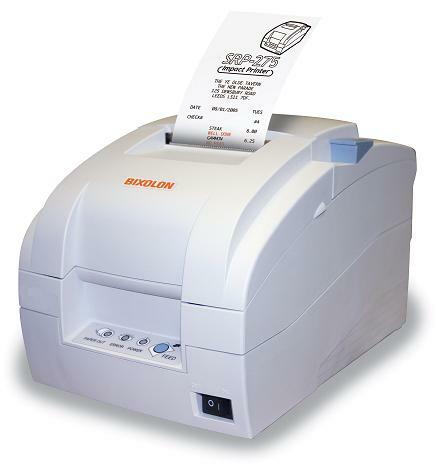 The SRP-275 is a cost-effective dot-matrix printer from Bixolon. It is extremely robust and easy to use, makign it the perfect choice for many kinds of POS applications. Use it in retail as a cost-effective solution or in catering where reliability is essential. With an average performance of 18 million rows without failure, this printer gives you all the reliability you need for long-term use. This dot-matrix printer impresses not only with its compact size and modern design, but also its "easy-paper-loading" and particularly ease of use. Complicated and time-consuming threading of the paper is a thing of the past. Users can change paper rolls easily with one-hand. 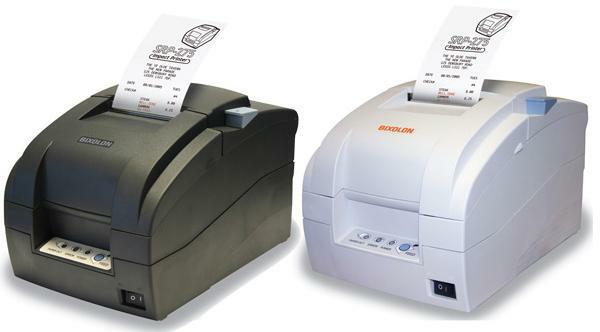 The SRP-275 is one of the quietest and fastest dot-matrix printers for POS systems available. More than five rows per second and an integrated graphics memory produce receipts in the shortest time without delaying customers or guests. It is even more convincing in the kitchen: An integrated buzzer audibly informs personnel of newly printed vouchers. Optionally, there is a wall-mount kit available for the printer. This results in very space-saving placement, which is especially handy in catering, restaurants or kitchens. If used under particularly harsh conditions, it is recommended that you use the separately available splash-proof cover. Spattering of grease or water in the kitchen is rendered absolutely harmless to the SRP-275. The 220V AC adaptor is elegantly integrated into the compact printer housing. Consequently, messing around with cables is avoided, which is ideal at space-limited POS terminals or highly frequented cash desks. The standard version of this dot-matrix printer features two ports for cash drawers. This compact device is available in two different versions. 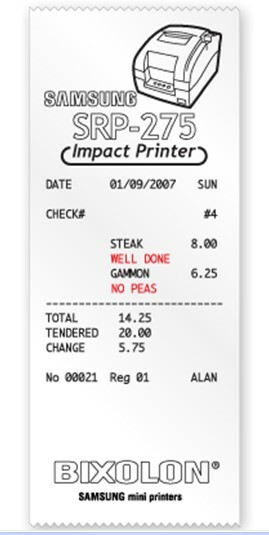 Version C features an auto-cutter, while version A features a tear bar that allows cash desk personnel to tear off the receipts manually. Version C of the successful dot-matrix printer model SRP-275 has the same features as the SRP-275 A plus an auto-cutter instead of a tearing edge. Receipts are cut automatically off the roll, making the job for cash desk personnel easier and more efficient. Another advantage is the auto-cutter’s design that avoids soiling the hardware with paper residues almost completely. Naturally, this version also features the easy drop-in-type paper handling for roll changes. 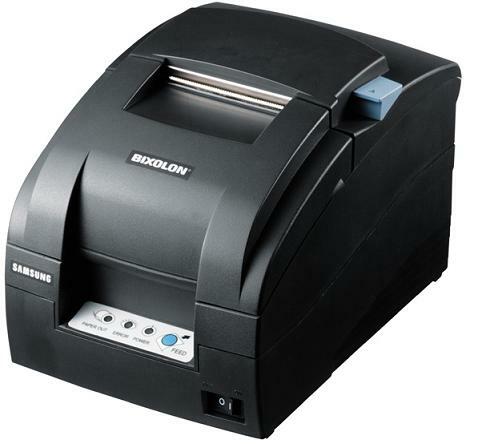 Click the button below to add the Samsung Bixolon SRP-275 Dot Matrix Impact Action Printer, SRP-275A SRP-275C to your wish list.